One Step Down - Now to Wait for the Pregnancy Test! - Building Families, Inc.
One Step Down – Now to Wait for the Pregnancy Test! 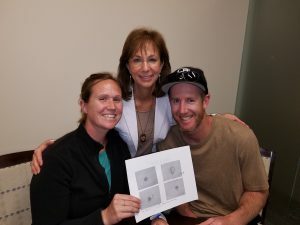 Dr. Frederick with HRC Fertility Orange County/San Diego and her team have worked their magic and transferred a perfect blastocyst to Melissa. Justin & Carol were the cheerleaders of the day!! Positive vibes to Melissa and her Couple!! !